Earlier in the day, Rahul Gandhi who addressed a rally in Chhattisgarh’s Kanker attacked the BJP government over alleged inaction against insolvent businessmen who have ‘fled the country’. 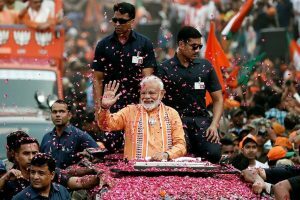 Ahead of the first phase of elections scheduled on Monday, Prime Minister Narendra Modi lashed out the opposition Congress accusing the party of “supporting urban Maoists” in poll-bound Chhattisgarh. “Urban Maoists live in air-conditioned homes, move around in big cars and their children study abroad, but they ruin the lives of poor Adivasi youth here through remote control. Why is Congress supporting these urban Maoists?” PM Modi asked while addressing a rally in Chhattisgarh’s Jagdalpur. 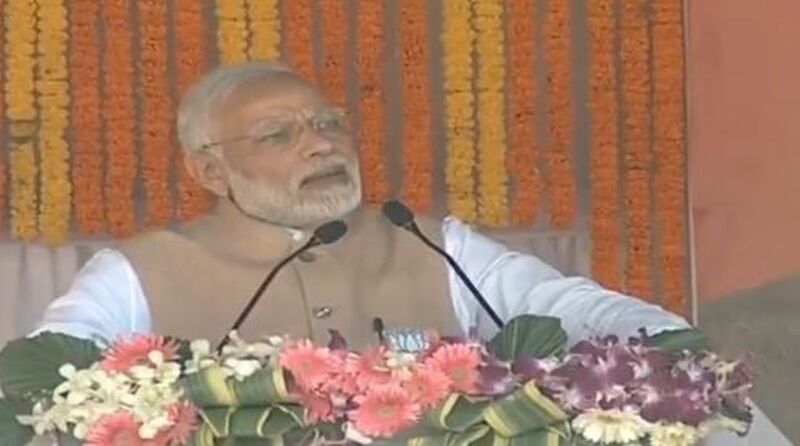 Continuing his tirade against the opposition, the PM urged the people of Bastar to “teach the Congress leaders a fitting lesson who on one hand try to shield the urban Maoists and on the other, speak about freeing Chhattisgarh from Maoists”. He further said when the Congress was at the Centre for 10 years, it never paid attention to the needs of Chhattisgarh and blocked all development for the state. Assuring a wave of development and progress under the BJP rule, PM said, “Chhattisgarh has turned 18 and needs a new budget progress and development”. He said it was the Bharatiya Janata Party that “dared to develop the Maoist areas” in the state. “The day will soon come when Chhattisgarh will be called a prosperous state,” he added. Quoting his mantra of development – ‘Sabka Saath, Sabka Vikas’- PM Modi said the saffron party did not discriminate anyone on the grounds of gender and caste. He said Bastar’s economic development will be equivalent to Chhattisgarh’s development. Recalling former prime minister Atal Bihari Vajpayee’s contribution to the country, Modi said, “Congress always considers the poor, Dalits, tribals and the marginalised as their vote-bank. It was Atal Bihari Vajpayee Ji who thought about their welfare and created a tribal affairs ministry”. PM Modi also condoled the death of Doordarshan cameraman Achutyanand Sahu who killed in an ambush by the Naxals in Dantewada. “A cameraman from DD news and jawans of our security forces were killed by Maoists in Chhattisgarh. But shamefully the Congress called them ‘Krantikari’. What sort of vocabulary is this?” PM Modi said. “The nation won’t forgive Congress, violence is not a solution, vote for BJP and answer back Congress,” he added. Earlier in the day, Rahul Gandhi who addressed a rally in Chhattisgarh’s Kanker attacked the BJP government over alleged inaction against insolvent businessmen who have “fled the country”. Naming economic offenders Nirav Modi, Vijay Mallya, Lalit Modi and Mehul Choksi, he also accused the government of making the common man suffer by announcing the demonetisation exercise. Gandhi is slated to be on a two-day tour of the state. The Congress is hoping to leverage anti-incumbency sentiments and the rising agrarian crisis in the state in its bid to oust the 15-year-old Raman Singh-led government. The campaigning for the first phase will end on Saturday. The first phase of polls will be held on November 12 covering 18 constituencies across eight Naxal-affected districts namely Bastar, Kanker Sukma, Bijapur, Dantewada, Narayanpur, Kondagaon and Rajnandgaon. The remaining 72 constituencies will go to polls on November 20. The counting of votes will be taken up on December 11.